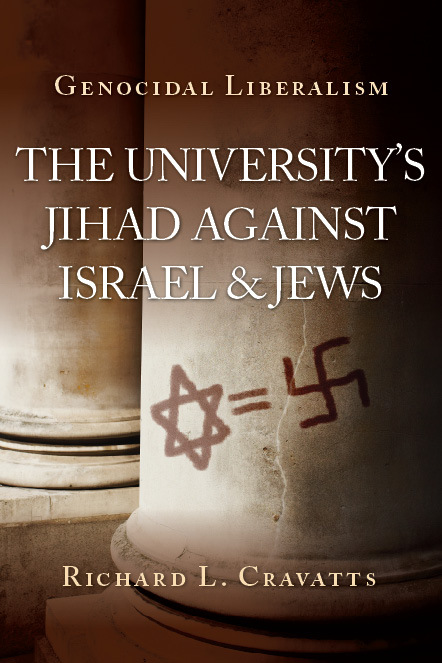 Genocidal Liberalism: The University’s Jihad Against Israel & Jews explores the growing phenomenon of Israel-hatred and covert anti-Semitism on college campuses. Fomented by extreme Left-wing institutes, funded by Saudi dollars, and led by professors with a barely-hidden intolerance for even the continued existence of the Jewish state, the new anti-Semitism-parading as anti-Zionism-poses dangerous threats to Israel and those who recognize the viability of this Western-style democracy in the Middle East. Tracing the birth of this new strain of virulent anti-Israelism to the Left’s obsession with “Palestinianism,” this book also reveals how a destructive “unholy alliance” has been formed between those liberals who seek social justice for the Palestinians, and Islamists, who now find the Left as an ally against a common enemy: Israel. The manifestations of these on-campus hatreds have been obvious and ugly: ripped Israeli flags drizzled with blood; Stars of David juxtaposed with swastikas; charges of apartheid, racism, and genocide leveled against Israelis and assigned also to their proxies, American Jews; physical threats against Jewish students; and blood libels which attempt to portray Israelis as murderous, subhuman oppressors. Genocidal Liberalism exposes the threat posed by the new anti-Semitism in detail, and then offers concrete solutions to help bring American and Canadian campuses back to a balanced and level-headed discussion of Israel and to expose the dangerous agenda of campus radicals. For further background on this book, review copies, or information about the author, email, or call: 617 521-2412.